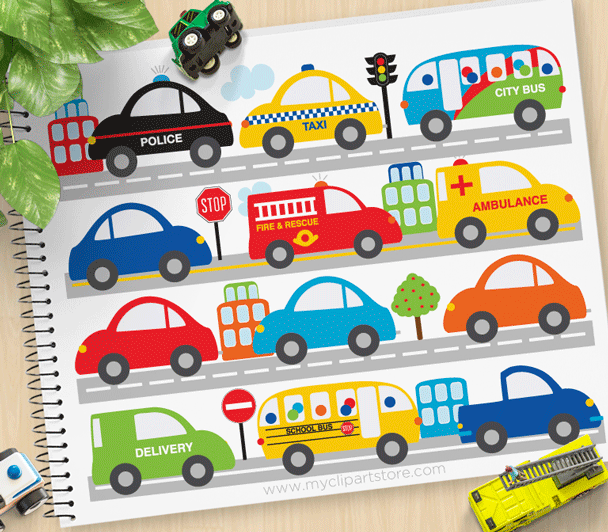 City Vehicles Clipart set includes: 1 school bus, 1 city bus, 4 cars, 1 van, 1 truck, 1 delivery van, 1 taxi, emergency response vehicles – 1 ambulance, 1 police car, 1 fire engine, 3 sky scraper buildings, 1 traffic light, 1 stop sign with 1 tree as well as city streets. 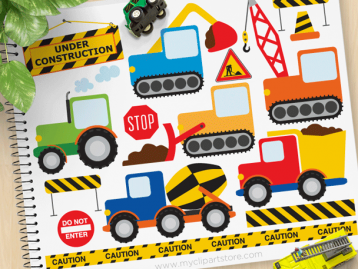 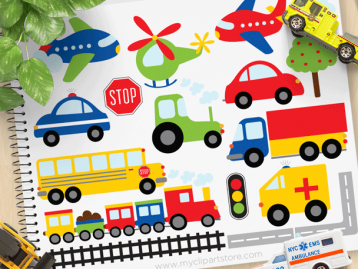 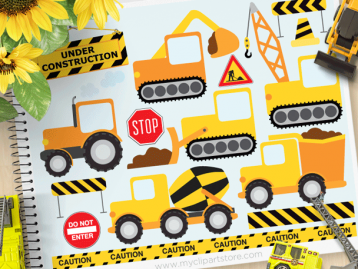 This transportation clipart set is perfect for: printed paper, products such as scrapbooking, sticker sheets, card making, gift tags, cake toppers, party invitations, classroom decorations and lesson plans. 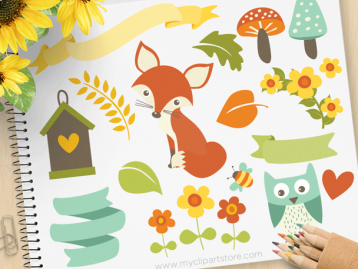 Other uses are: Jewelry making, magnets, web design, business cards, T-shirt design and vinyl decals. 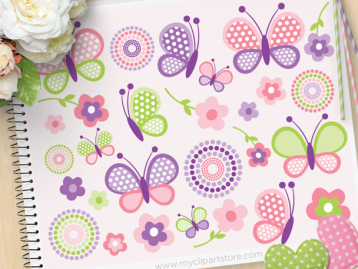 These elements are also very easy to use in digitized appliqué and embroidery designs. 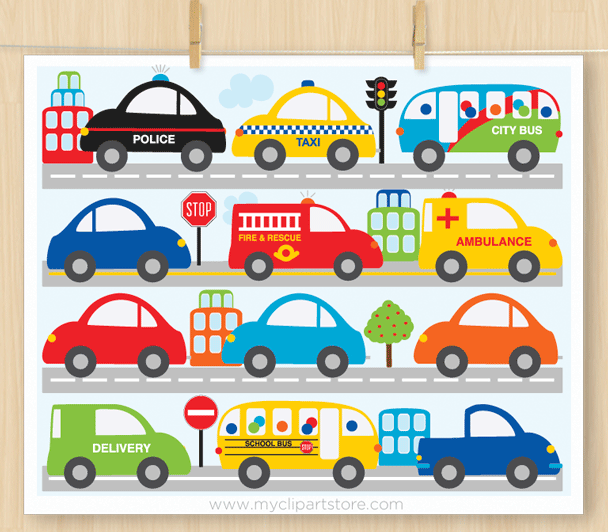 City Vehicles, Transportation, Cars and Trucks premium vector clipart for personal and commercial use.